There is no better comfort or hope than that which is found in the Lord.He is a safe place from the storms of life(Psalm 31:19-24). 19 Oh how great is thy goodness, which thou hast laid up for them that fear thee; which thou hast wrought for them that trust in thee before the sons of men!20 Thou shalt hide them in the secret of thy presence from the pride of man: thou shalt keep them secretly in a pavilion from the strife of tongues.21 Blessed be the Lord: for he hath shewed me his marvellous kindness in a strong city.22 For I said in my haste, I am cut off from before thine eyes: nevertheless thou heardest the voice of my supplications when I cried unto thee.23 O love the Lord, all ye his saints: for the Lord preserveth the faithful, and plentifully rewardeth the proud doer.24 Be of good courage, and he shall strengthen your heart, all ye that hope in the Lord. The Lord is our light and our strength,even if we are surrounded by enemies we are kept safe and hid in His temple! 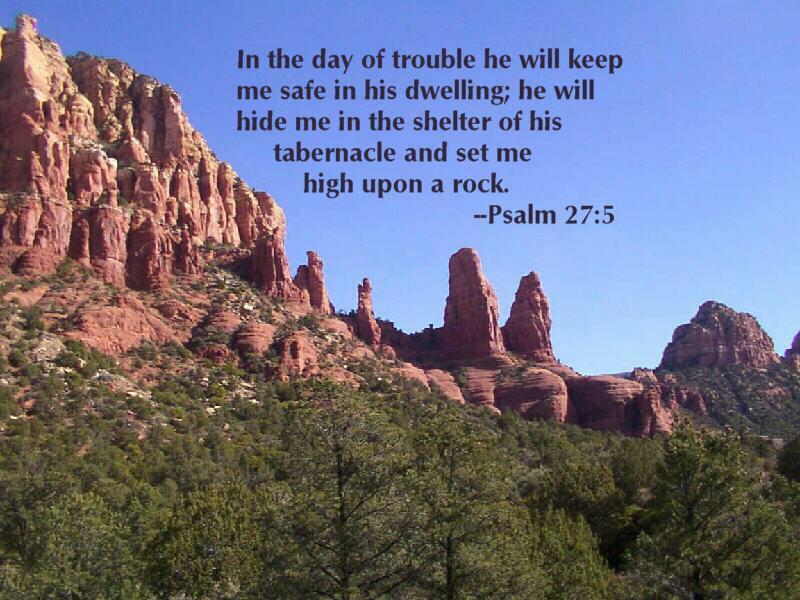 (Psalm 27:1-5). The Lord is my light and my salvation; whom shall I fear? the Lord is the strength of my life; of whom shall I be afraid?2 When the wicked, even mine enemies and my foes, came upon me to eat up my flesh, they stumbled and fell.3 Though an host should encamp against me, my heart shall not fear: though war should rise against me, in this will I be confident.4 One thing have I desired of the Lord, that will I seek after; that I may dwell in the house of the Lord all the days of my life, to behold the beauty of the Lord, and to enquire in his temple.5 For in the time of trouble he shall hide me in his pavilion: in the secret of his tabernacle shall he hide me; he shall set me up upon a rock.